Did you have a “senior moment” today? The term can be a humorous way to laugh off misplacing your keys, forgetting a birthday or taking a bit more time than usual to recall the word lingering “on the tip of your tongue.” Your senior moment may prompt knowing chuckles from friends – but for the 10 percent of American seniors with dementia, memory changes are no laughing matter. The first thing you need to know about dementia is that it is not a specific diagnosis but a term to describe a wide variety of symptoms that lead to a decline in brain function. 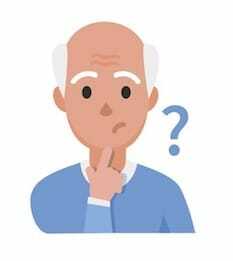 The second is that it’s not uncommon for older adults to experience changes in their thinking ability – say, becoming slower at recalling words or thinking through challenges. Generally, though, these changes do not interfere with their daily life. If they lose their keys, for example, they’re able to retrace their steps or think of likely places to find them again. Some signs, however, like difficulty knowing what day it, point to a more serious problem. What follows are some of the most common signs of dementia. 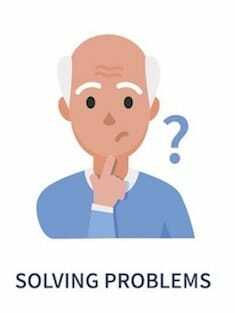 While occasionally forgetting names or appointments is normal, a person in the early stages of dementia often cannot recall recently learned information, leading them to ask the same question repeatedly. Their forgetfulness also will occur with increasing frequency. Everyday tasks such as showering, preparing meals or making a phone call may seem unfamiliar to people in the beginning stages of dementia. Sometimes they can recall all or most of the steps required to perform the action, but the order is jumbled. A person in the early stages of dementia may forget simple words or use unusual terms. 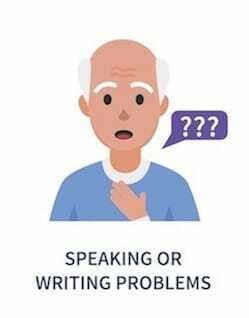 Both speech and writing can be affected and may be slightly puzzling or difficult to understand. Be aware that the onset of jumbled speech could also be a symptom of a stroke. Dementia can make people unaware of their surroundings even in familiar places, such as their neighborhood. Complex mental tasks or ones that require several steps may become difficult (if not impossible) to do. This usually becomes apparent in chores like balancing a checkbook, which require inputting information from various sources and then combining, assessing or analyzing that information. The inability to make a sound decision based on a given set of factors is another possible sign of dementia. A common example is dressing inappropriately for the weather. Another of the more common early warning signs is placing objects in inappropriate or nonsensical places, such as putting keys in the refrigerator. Dementia can cause severe and rapidly shifting moods. You might witness your loved one with dementia going from rage to sadness to complete calm within the course of a few minutes. A lack of energy or passion for life can manifest in prolonged sleeping or bouts of TV-watching. The desire to isolate rather than to participate in normal activities could be another key sign of dementia or depression–or both. Is it Alzheimer’s or Dementia? Alzheimer’s disease is simply one type of dementia, albeit the most common type, accounting for about 60 to 80 percent of dementia cases, according to the Alzheimer’s Association. Memantine (Namenda), which may be able to slightly delay the loss of cognitive function. 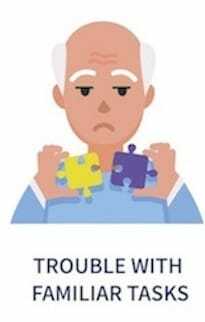 When it comes to behavioral changes, like anxiety and agitation, the Alzheimer’s Association lists some non-medical approaches, such as redirecting attention or creating a calm environment. If these don’t work and the symptoms are severe, you may want to consider prescription medications such as antidepressants, anxiolytics or antipsychotics—though the latter must be used with extreme caution. Many Americans first heard about Lewy Body Dementia (LBD) after it was revealed that comedy legend Robin Williams suffered from the disease at the time of his death. Considered by some experts to be the second most common form of dementia, LBD affects an estimated 1.4 million Americans. In this type of dementia, Lewy bodies–or abnormal deposits of a protein known as alpha-synuclein–are present in the brain, impeding normal cognitive function. Many people with LBD are initially misdiagnosed, because they may experience symptoms that are common in Alzheimer’s and Parkinson’s disease. People with LBD experience reduced attention and alertness, which may mimic the memory problems of someone with Alzheimer’s. However, memory is fairly intact in people with LBD, although their problem-solving skills tend to be highly impaired. Hallucinations are also common in the early stage of the disorder (unlike in Alzheimer’s, where this symptom occurs in the later stages). Like people with Parkinson’s disease, those with Lewy body dementia may have mobility problems–slow, stiff or shaky movements, trouble balancing and a shuffling walk. It’s also common for people with LBD to have one or more sleep disorders, including REM sleep disorder behavior (RBD), in which they physically act out their dreams. RBD, which can begin years or even decades before Lewy body dementia appears, can cause injuries to those living with the condition and to their sleeping partner. Although no drugs have been specifically approved for Lewy body dementia, some people with LBD are prescribed cholinesterase inhibitors like Aricept, which the FDA has approved for Alzheimer’s disease treatment. Sometimes people with LBD can also benefit from levodopa, a drug used to manage movement symptoms in those with Parkinson’s disease. As a general rule, antipsychotic medications should be avoided because a severe sensitivity to these type of drugs is common in those with Lewy body dementia, according to the LBD Association website. Non-medical treatment options include physical therapy, occupational therapy, speech therapy, individual or family psychotherapy and support groups. The Alzheimer’s Association considers vascular dementia to be the second most common form of dementia. (Statistics vary widely, but it’s estimated that it affects one to four percent of people over 65.) This disorder, which often begins abruptly, is caused by poor blood flow to the brain, resulting from any number of conditions that narrow the blood vessels, including stroke, diabetes and high blood pressure. Usually the culprit is multiple small strokes (infarcts) caused by blood clots or thickened or ruptured small arteries that connect to the center of the brain. (This is called multi-infarct dementia.) The type of dementia may also be caused by one big stroke (which would be referred to as post-stroke dementia). 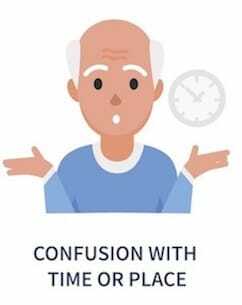 Symptoms of vascular dementia include confusion, disorientation and trouble following directions. Recall of day-to-day events (episodic memory) becomes impaired, but recognition–of people, for example–doesn’t. Vascular dementia loss may progress to hallucinations, agitation, or withdrawal and symptoms may clearly worsen after each successive stroke. Sometimes dementia is caused by more than one medical condition. The most common form of mixed dementia is caused by both Alzheimer’s and vascular disease. Alzheimer’s brain changes also often coexist with Lewy bodies. Sometimes a person may have brain changes linked to all three conditions, according to the Alzheimer’s Association. About one in five people with Parkinson’s disease develop dementia due to Lewy bodies in the brain and brainstem. The onset of Parkinson’s disease itself involves damage to nerve cells that control muscle movement. 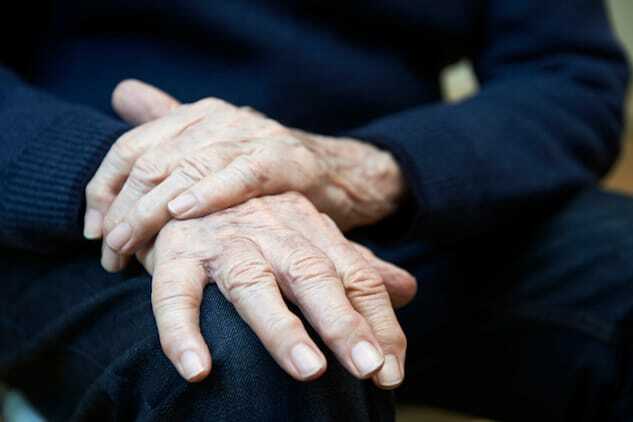 Parkinson’s symptoms (tremors, muscle stiffness and speech problems) are usually diagnosed first because the dementia develops in the disease’s later stages. 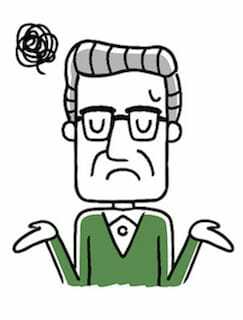 Parkinson’s dementia does not typically involve problems with language. Cholinesterase inhibitor medications may be used to help manage the cognitive symptoms of dementia with Parkinson’s disease. Antidepressants may also be used if depression is present and Clonazepam may be used to treat REM sleep disorder. As with Lewy body dementia, antipsychotic drugs should be used with extreme caution. Frontotemporal dementia (FTD) is an umbrella term for a diverse group of disorders that primarily affect the frontal and temporal lobes of the brain. Pick’s disease, the most common of the FTD types, is a rare disorder that involves abnormal deposits of the tau protein in the brain (called Pick bodies). FTD, which usually occurs between ages 40 to 45, affects personality significantly, usually resulting in a decline in empathy, as well as social skills. People with this disorder may exhibit increasingly inappropriate actions and repetitive compulsive behavior, including consumption of inedible objects. Frontotemporal dementia is also associated with impaired judgment, mood swings and apathy. Some subtypes of FTD are marked by decline in speech while even rarer subtypes feature mobility problems like those seen in Parkinson’s. There are no specific treatments for FTD, though people with this type of dementia may benefit from medications designed to reduce agitation, irritability and/or depression. Frontotemporal dementia gets worse over time, although the speed of decline varies. Huntington’s disease is an inherited progressive dementia that affects cognition, behavior and movement. It affects some 30,000 Americans. According to the Alzheimer’s Association, the hallmark symptom of Huntington’s disease is uncontrolled movement of the arms, legs, head, face and upper body. In its later stages, HD can cause cognitive decline. Additionally, changes to the brain in people with Huntington’s can lead to personality changes, depression, mood swings and disorientation. Another common symptom is obsessive-compulsive behavior. Although attention and judgment can be impaired early in the disease, memory loss tends to occur later. Treatment focuses on managing the symptoms and may include antipsychotic medication and SSRI antidepressants. Creutzfeldt-Jakob disease (CJD)—more popularly known as mad cow disease–is a degenerative neurological disorder, occurring in about one in every million people. Creutzfeldt-Jakob disease is caused by transmission of a prion (an infectious protein) that infects and subsequently destroys the brain’s nerve cells. Unlike dementia caused by Alzheimer’s, memory problems and behavioral changes caused by CJD progress rapidly, usually over a period of several months. Symptoms include memory loss, speech impairment, confusion, muscle stiffness and twitching and general lack of coordination, making the individual susceptible to falls. Occasionally, blurred vision and hallucinations are associated with the condition. 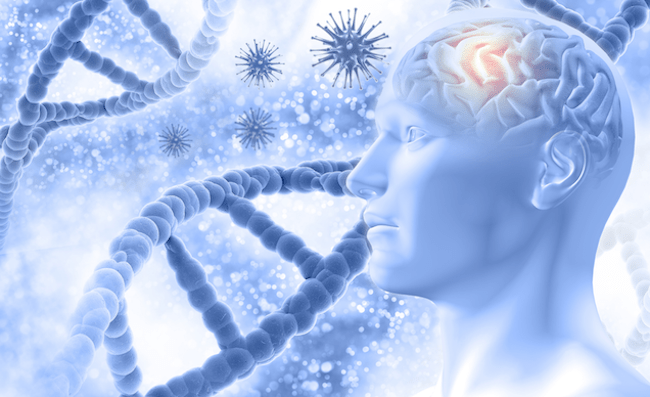 So far, no drugs have been shown to stop the progression of CJD or to consistently benefit people with the disease, and treatment is aimed more at alleviating pain or irregular movements, according to research by the University of California, San Francisco. In this disorder, excess cerebrospinal fluid accumulates in the brain’s cavities, causing thinking and reasoning problems and overall slowing of thought processes. Other symptoms include apathy, impaired decision-making, reduced concentration and changes in personality and behavior. Also known as alcohol-related dementia, Wernicke-Korsakoff syndrome is caused by severe thiamine (vitamin B1) deficiency. (Wernicke’s encephalopathy represents the acute phase and Korsakoff’s syndrome represents the chronic phase.) The condition can be reversed if treatment starts early enough. Deficiencies in vitamins B6 and B12 can also cause dementia-like symptoms, as can dehydration. Various health conditions that change the body’s physical and chemical processes can cause metabolic dementia. Conditions include endocrine disorders like Cushing’s disease, thyroid disorders, problems, frequent episodes of low blood sugar (hypoglycemia) and cirrhosis of the liver. 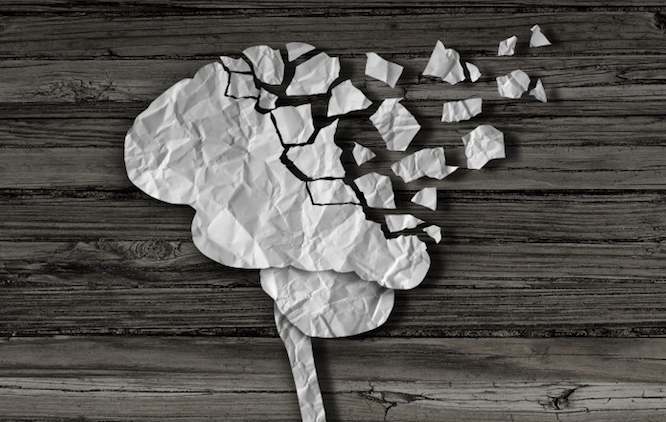 A head injury that results in bleeding between the surface of the brain and the covering over the brain can lead to a subdural hematoma, and ultimately to dementia-like symptoms. Poisoning from ingested substances such as recreational drugs or from exposure to heavy metals can lead to brain damage and, eventually, the onset of dementia-like symptoms. In some cases, symptoms may resolve with treatment. In rare circumstances, cognitive changes can result from damage caused by benign brain tumors, also known as meningioma. The risk of permanent damage is less if the tumor is caught and surgically removed in its early stages. Cerebral hypoxia (oxygen deprivation) can cause brain damage. This condition can be triggered by severe asthma, choking, chronic smoke exhalation and extremely high altitude without a pressurization mechanism. If oxygen levels are restored quickly, brain damage may be minimal or reversible. Did you know that nearly six out of 10 older Americans with dementia are undiagnosed or unaware of their diagnosis, and many others are misdiagnosed? It can be a mistake to assume that cognitive issues are caused by Alzheimer’s. If the decline is caused by another condition, treatments used for Alzheimer’s might be ineffective or even harmful. Early and accurate diagnosis of dementia is critical to effectively managing it. If your loved one’s doctor is not familiar with the complexities of a dementia diagnosis, ask for a referral to a neurologist, especially one specializing in dementia, who will test your loved one’s memory, thinking abilities and movement. Also consider a referral to a geriatrician, a doctor with specialized training in treating older adults. The following are some of the tests commonly used to determine dementia. The Mini Mental State Evaluation (MMSE) is a commonly used assessment to evaluate memory, ability to solve simple problems and other thinking skills. During the MMSE, a health professional asks a series of questions that test a range of everyday mental skills. For instance, they will ask the person to identify the time, date and place where the test is taking place. People being evaluated will also be asked to count backwards, to identify objects and to perform basic skills involving math, language use and comprehension. An update to the MMSE exam, the Saint Louis University Mental Status (SLUMS) is slightly more nuanced. For example, it adjusts scores according to the person’s education level. Another test for diagnosing dementia, the Mini-Cog, takes only a few minutes to administer. The person being evaluated is required to identify three objects in the office, to draw the face of a clock in its entirety from memory, and to recall three items identified earlier. Physicians may also study the structure of a person’s brain by CT or MRI to see if there are any growths, abnormalities or general shrinkage (as seen in cases of Alzheimer’s). 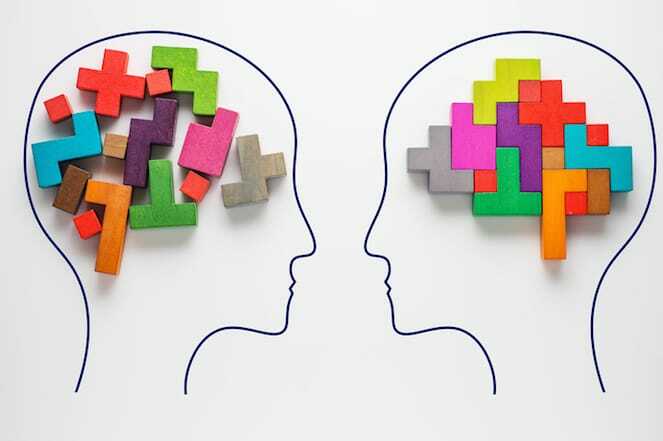 Studies of brain function, using a positron emission tomography (PET) scan and a special form of MRI can raise the accuracy of the diagnosis of Alzheimer’s disease and frontotemporal dementia to 90 percent. The Clinical Dementia Rating Scale, known as the CDR, is a five-point detailed rating system that determines the level of impairment in people with suspected cognitive problems. 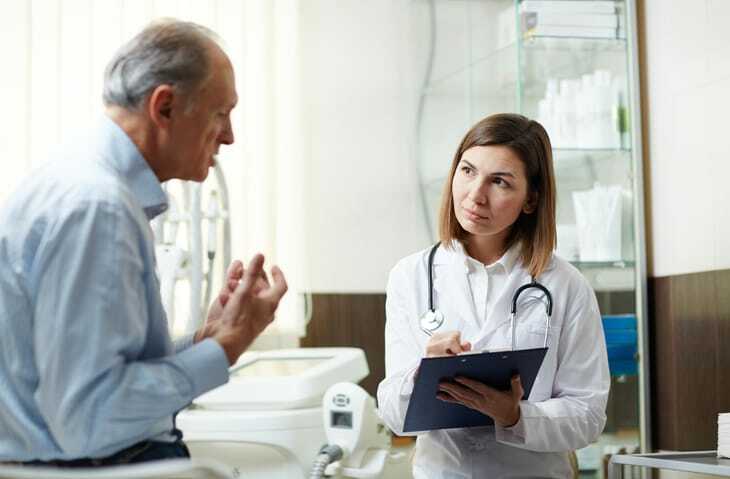 The CDR relies on data obtained from a semi-structured clinical interview, allowing neurologists, geriatric psychiatrists and geriatricians to assesses impairment across a range of dimensions like personal care, memory, and judgment and problem-solving. During the interview, the clinician may ask the person to recall a recent event and assess their ability to perform problem-solving tasks like balancing a checkbook, making change or leaving a tip at a restaurant. They might also ask where a person was born, the last school they attended or the last job they held. Additionally, they will talk to a family member to discern the accuracy of the information they gather. The CDR often plays a key diagnostic role by gleaning information that might be difficult to obtain via other methods. The rating system can also reveal which types of cognitive and functioning abilities are most impaired, according to neuropsychologist James C. Jackson. “As well, the CDR can be used to identify Mild Cognitive Impairment (MCI), a precursor to Alzheimer’s disease, where symptoms are very subtle and difficult to detect,” adds Jackson, who is also an associate professor at Vanderbilt University Medical Center, where he specializes in research on brain injuries, dementia and aging. 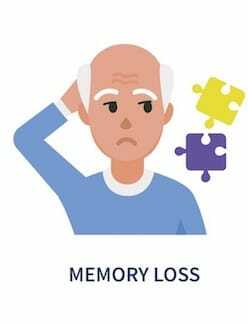 About 20 to 25 percent of Americans 65 and older have mild cognitive impairment– they experience memory loss and sometimes impaired judgment and speech, but their cognitive decline generally doesn’t interfere with the normal activities of daily living. 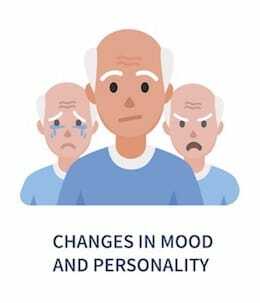 In addition, people with MCI may also experience behavioral changes like depression, anxiety, aggression and emotional apathy, which may be related to their being aware of their condition and being frustrated by it. Whenever a new medication is prescribed, ask if it could cause increased confusion or sedation in your loved one. If the answer is yes, ask if there are other non-sedative drugs that can be used. If there are no other options, ask the doctor to prescribe the lowest possible dosage. 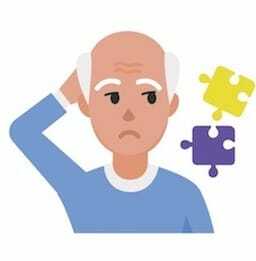 Many older people with Alzheimer’s also have some degree of vascular dementia (cognitive impairment due to stroke damage, usually multiple mini strokes). Avoiding very high blood pressure can help reduce the chance of future small strokes, which could spur even more mental decline. Taking moderate control of blood pressure is often safer than very tight control, as blood pressure medication can cause dizziness, a risk factor for falling. (Dizziness can also be an issue if your loved one’s blood sugar goes too low.) In general, blood pressure should be less than 150/80. With vascular dementia, medication to control diabetes, reduce cholesterol level and prevent blood from clotting may also help slow the rate of cognitive decline. Doctors typically recommend that people with vascular dementia eat a healthy diet and quit smoking. Speaking of healthy lifestyle, research suggests that aerobic exercise may slow down the cognitive decline seen in Alzheimer’s and other dementias. To encourage your loved one to get active, make it a habit to incorporate activities that suit his or her physical capabilities into their daily routine. 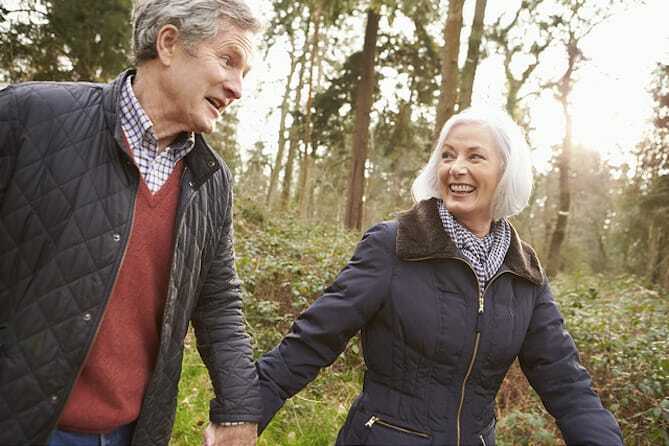 In fact, why not join your loved one on a daily walk—it’s a pleasant way to spend time together and you’ll get to offload some of the stress that accompanies dementia caregiving. For more information about caring for a loved one with dementia, visit our Dementia Caregiving Guide. This page has been medically reviewed by Dr. Niya Jones.